David Nusair is a longtime film critic and operator of Reel Film Reviews website. He has been a member of the Online Film Critics Society since 2002. 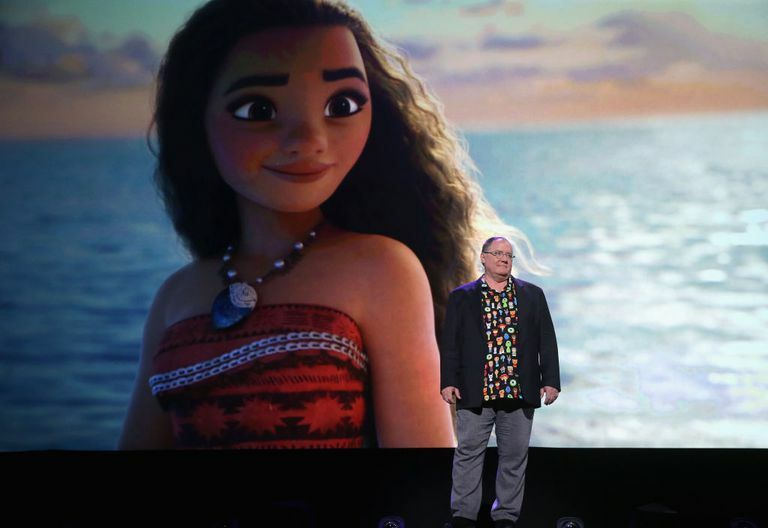 It’s hard to think of a more recognizable figure within contemporary animation than John Lasseter, as the filmmaker and Pixar chief’s name has certainly become as synonymous with today’s cartoons as Walt Disney’s was way back when. As a young boy, John Lasseter seemed as though he was destined to follow in the footsteps of his art-teacher mother as the young boy would often spend countless hours doodling and watching cartoons. And although he started his post-secondary education at Malibu’s prestigious Pepperdine University, John eventually decided to follow his passion by enrolling in California Institute of the Arts’ newly-formed animation course – where he learned the techniques of the genre alongside such future superstars as Brad Bird and Tim Burton. After graduating from CalArts, John quickly segued into a job as a low-level animator at the Walt Disney Feature Animation studio where he worked behind the scenes on movies and specials like 1981’s The Fox and the Hound and 1983’s Mickey’s Christmas Carol. John’s enthusiasm for the brand new field of computer animation led him to pitch a CGI-heavy adaptation of Maurice Sendak 's, although the project never made it past the early stages and John found himself once again looking for work. John, along with several friends within the computer industry, began working on a short computer-generated animated film for a small subdivision of George Lucas’ special-effects company Lucasfilm. The two-minute film, entitled The Adventures of Andre and Wally B., vividly highlighted the potential of computers within the field of animation, and – after Steve Jobs bought the company and renamed it Pixar in 1986; it wasn’t long before John was able to work full-time on the burgeoning computer-animated genre. For the next several years, John and his Pixar crew worked tirelessly at perfecting the software that would allow them to create increasingly lifelike animated effects – with their efforts resulting in Pixar’s first official short film, 1986’s Luxo Jr. Following several more well-received shorts--including the Oscar-winning 1988 film Tin Toy--John started working on what would eventually become the world’s first full-length computer-generated feature, Toy Story. The film, which features voice-work from Tom Hanks and Tim Allen and eventually went on to gross over $300 million worldwide, instantly established Pixar as a serious player within the animation field and paved the way for John Lasseter to become a pioneer within the genre he had grown up admiring. In 2006, John’s career came full circle after he was named the chief creative officer of both Disney and Pixar after the former purchased the latter for a staggering $7.4 billion. In addition to his ongoing work behind the scenes at Pixar, John now has complete control over the animated films released by Disney and even has a say into what kind of rides appear at the studio’s various theme parks. Not too shabby for a guy who used to while away the hours doodling and watching cartoons. Do You Know the 3 Main Film Animation Styles?